On Disneyland's 'Jungle Cruise', three men are forever chased up a palm tree by a rhinoceros whose sharp horn moves endlessly just out of reach of the lowest man's bottom. Having lived with the memory of this ride since childhood, the author was struck when she came across a reference to this 'natives up a tree' scene in an 1838 natural history description. Such images have demonized rhinos for generations; this book examines how such a solitary animal came to earn such a bad reputation. 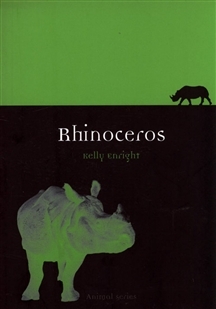 Rhinoceros wildness has roots in the ancient, prehistoric and mythic. Many sightings of the rhinoceros were thought to prove the existence of the mythical unicorn, which was said to be impossible to capture alive.Later the rhino was captured, and a small number were brought to Europe from the Renaissance to the 18th century to be displayed as wonders of nature. In America the first rhino arrived in 1830 and was hailed as the most savage of animals, and thereafter the rhinoceros became the most desired hunting trophy (Theodore Roosevelt's rhino can be seen in the American Natural History Museum). No wonder that rhinos are now an endangered species when one also considers that rhino horn is much sought after as an ingredient in Asian medicine. 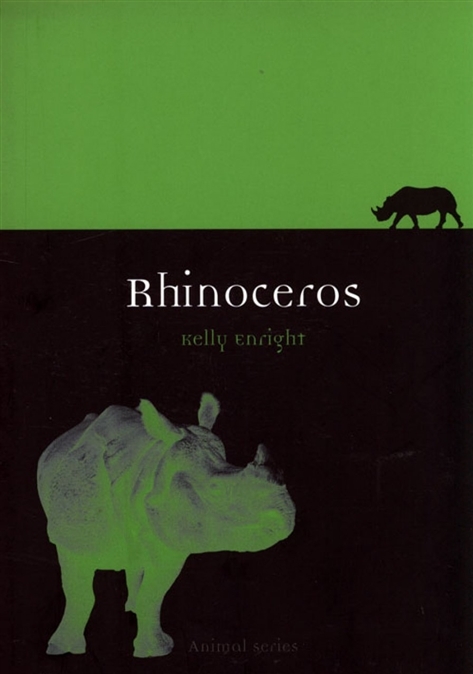 "Rhinoceros" makes use of wide-ranging sources from film and literature, to natural history description and exhibition, and asks whether the savagery of the rhino is a reality or a legacy of its mythic past. This book is aimed at interested readers and enthusiasts who want to learn about the culture, history and nature of this animal, as well as specialists, from art historians to conservation biologists, in the field.